Ten games gone already and the NPFL title race is looking like it has just begun. With the top ten teams just four points apart of course due to some rescheduled matches, it is not safe to assume any team will be the champion. 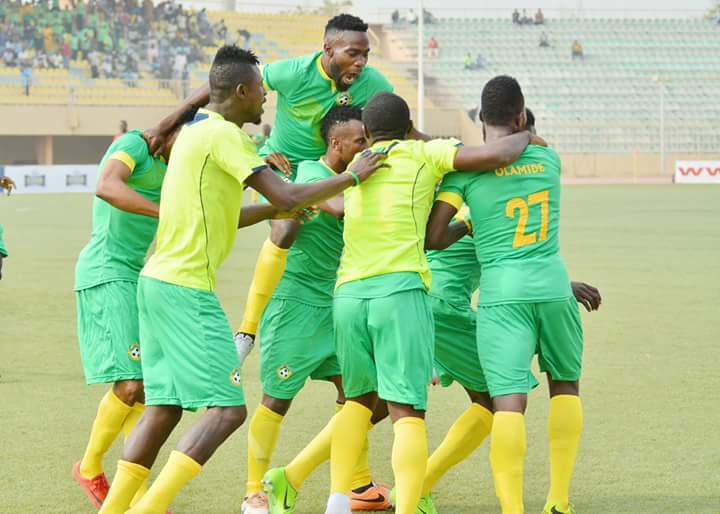 Expectations were not so high on Plateau United at the beginning of the season to defend their title but the Jos-based team have sent a resounding message to other contenders that though they won the league as a surprise, they are not a fluke. Plateau united also seems to be proving good based on their recent performance at the preliminary of CAF champions league. Another worthy contender is Kano Pillars who currently parades the NPFL man of the moment, Junior Lokosa with nine goals in ten NPFL league games. 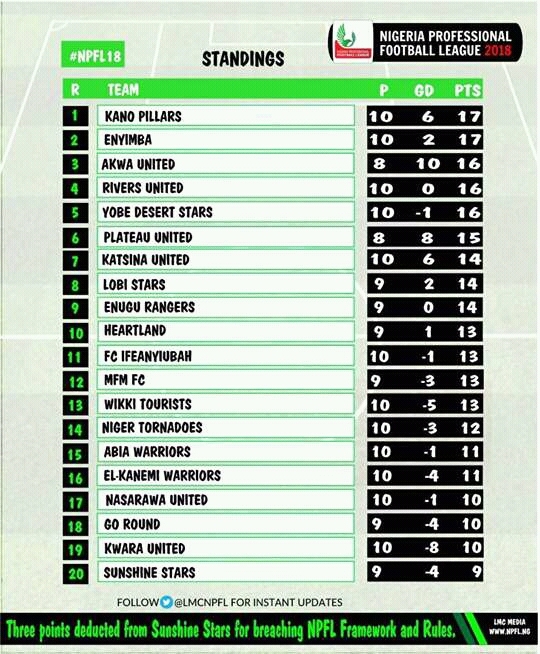 Kano Pillars are currently on top of the table together with Enyimba of Aba who also seems to have risen up from a slow start of the season. The game between Plateau United and Rangers will be also determine if Rangers for the first time this season will join the elite class in the top five or not. However looking at how competitive the league is becoming, Kennedy Boboye and his team cannot afford to waste any chances against any team this season. At the moment almost ten teams looked like a title contender. 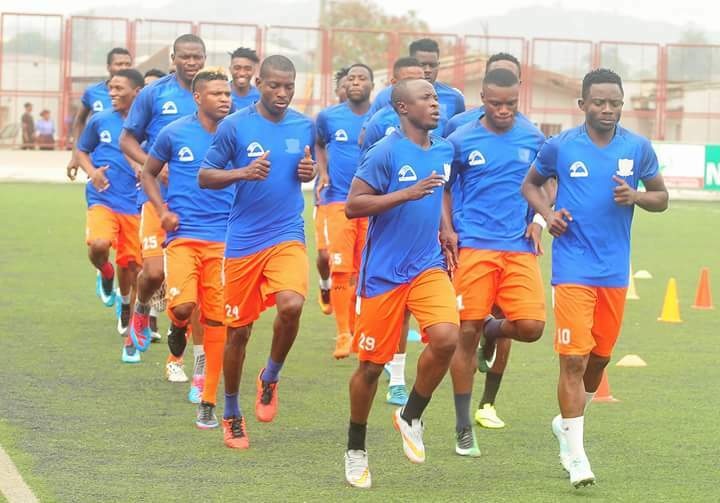 Akwa United stand a chance to consolidate their space in the title race if they can secure the maximum six points in their two outstanding games. Their next game is away to Lobi Stars which is very strong team and currently placed 8th on the table.